To update your billing information you need to go to MY ACCOUNT and click on Personal & Billing Info section. In the Subscriptions tab, you need to click on Update option. You will be offered to enter your new credit card information. 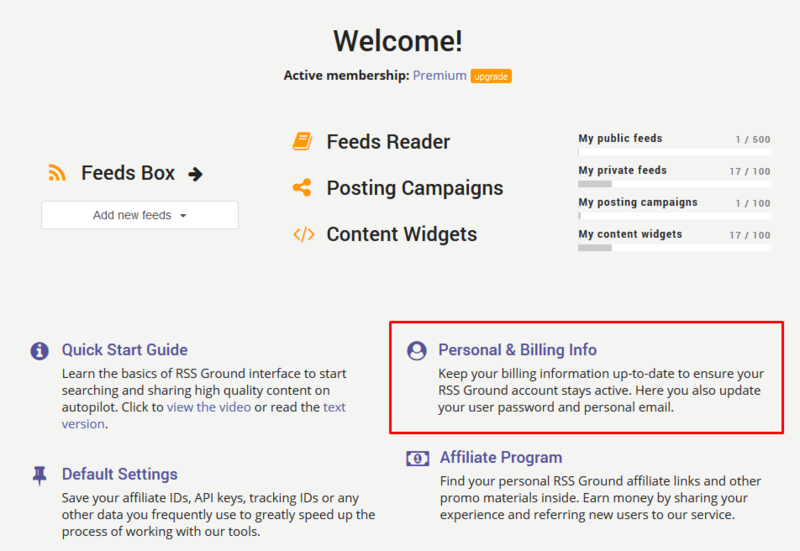 If you have used PayPal to sign up for RSS Ground you need to go to your Paypal account to update your credit card and other billing information from there.